Installing a full-fledged multimedia PC inside a car is still a bit of a challenge, but the urge to be surrounded by music that you thought was cool in high school dictates that companies will keep trying until they get it right. 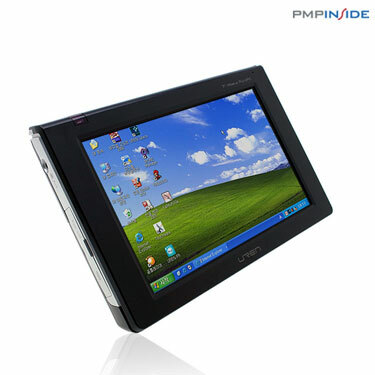 Enter the UREN V1 from PMPINSIDE, an ultra mobile PC that's designed for cars. Sitting atop a 30GB hard drive, the UREN also includes a DMB TV tuner (useless in the U.S.! ), a 3-megapixel camera, GPS and a memory card slot. All that crazy info is displayed on its 7-inch, 800x600 screen. Right now, the Uren is Korea-only and unless the planets allign, it'll probably stay that way.